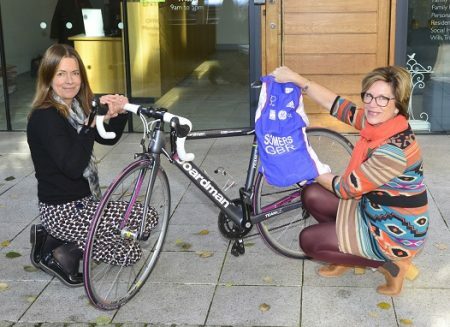 Legal assistant Barb Somers is aiming for European glory when she takes part in a gruelling athletic event next month. Barb, who is 65 and lives in Shrewsbury, regularly competes in triathlons, with her next one being the European Triathlon Championships. She will be sponsored for the event on 11th August at Strathclyde Park in Glasgow by her employers at Wace Morgan, based in St Mary’s Street Shrewsbury, who have paid for her GB tri suit. “There are 17 competitors in my age group 65-69 and I really do hope that I get within the top 10,” said Barb, who came second in her age group in the Chirk Triathlon in April this year. “I also entered the Telford Athletic Club series of six runs this year and am currently at the top of my age group,” she added. Barb trains with Shrewsbury Triathlon Club and Shrewsbury Masters swimming club and is also a British Triathlon Federation official/referee which takes her all over the country officiating in events.